I disagree some Chuck. Doing anything new, especially to SLS, will only increase costs, increase time required for the first flight, increase complexity, and decrease the probability SLS will ever launch and/or be affordable. I am sure you know the possibility of the development path you advocate vanished when NASA decided not to scar the MLP for liquids which dealt a death blow to the use of an LRB powered by an F1B (or whatever). I don't think the thing could even accept an SRB with a different foot print. The only decision for SLS is to fly as designed or not at all. The exception is EUS which has yet to reach CDR and by definition yet to finish design. Which is why there are studies about what is the best engine for EUS long term cost/schedules/performance. The question I answered Mike was "what can be done to improve SLS and make it work at a lower cost?". It wasn't whether of not making any changes at this point would speed things up. I agree with what your saying but the question was how to "ultimately" make it less costly to operate. Right now it is set up to cost the most amount possible to operate. And that's because it is being run as a government program by a government agency that has no cost accountability and being serviced by government contractors whose only interest is to stretch out the program for as long as possible in order to extract the maximum amount of funding from it as possible. The only way to improve that situation is to get the government the hell out of the program and take their greedy contractors with them. That's the only possible answer to the question. Whether or not that is a practical thing to do at this point is a different question and if asked I would say "No, it isn't even possible at this point", but my original answer still addresses the original question. Thanks for the clarification. I missed the real intent, but after re-re-reading, I got it and I agree with your response. Sorry for the misunderstanding on my part. This is what you can expect if you stop the pipeline, it takes a lot of time to get back going again building something different. You can see that with Commercial Crew replacing Ares-1/Orion. Huh, What? Commercial Crew did not replace Ares-1. Commercial Crew did not replace Orion. Orion is still around... So I'm not sure what point you are trying to make, but it is built on very flimsy ground if you do not understand how these programs relate to each other. Commercial Crew replaces ISS rotation flights on Ares-1/Orion. Ares-1 was cancelled, leaving Orion without a launch vehicle for a while, except for the Delta-IV Heavy, which could put it in LEO (but wasn't human rated), but that mission for Orion was replaced by Commercial Crew. So, yes, the Orion ISS flights were cancelled for Commercial Crew about 8 years ago. Lars, Ares-1/Orion, while 2 different types of vehicles were envisioned together; Orion being the spacecraft and Ares-1 being Orion's launch vehicle. 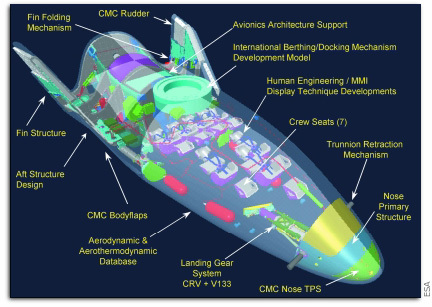 Commercial crew, as a program, was conceived in the same way as a spacecraft and it's launcher. In this case it is Dragon/Falcon and CST100/Atlas. From this pov ncb is correct. From a certain limited POV, yes... But the Orion to ISS flights was just a few (or one) test flight(s). Ares-1/Orion was never supposed to be an permanent ISS crew rotation solution, after all funding the whole Constellation project depended on ISS being dropped in the pacific ocean. So the two projects you draw a line through had a tangential connection - yes - but that is all. And without the same funding levels for both projects, any argument that it took X years to change tracks is not really that persuasive. Orion improves on the best features of Project Apollo and the Space Shuttle Program, increasing the likelihood of success. Versatility will be Orion's trademark. It is being designed to fly to the moon, but could also be used to service the International Space Station in low-Earth orbit. Orion will be capable of carrying crew and cargo to the space station. The larger size will allow Orion to accommodate four crew members on missions to the moon, and six on missions to the International Space Station or Mars-bound spacecraft. Orion is scheduled to fly its first missions to the space station by 2014 and carry out its first sortie to the moon by 2020. I'm not sure what the point of that was - no one disputes that Orion could service/dock with ISS. It was always a consideration for early test flights. Again, what a difference 10-11 years make. Problem is, now SLS has taken way to long to develop, while being passed by private launchers. Also, the 10 billion or so spent on SLS could have been spent on a Nautilus X type in space spacecraft to actually take us beyond LEO, and could have been built by now. We had Atlas and Delta. Both having more launches to build Nautilus X could have brought launch costs down. It may also have lead to Atlas V Phase II, a single stick 5 to 5.5m diameter dual RD-180 engine that could match Delta V heavy in launch ability, and a three core heavy version of this could have placed about 70 tons into LEO, matching SLS's minimum capability. I predict that within 10 years SLS will be cancelled. It will never get NASA to Mars. By then we will have FH, New Glenn, and maybe BFR/BFS, and also maybe New Armstrong. All reusable or at least reusable boosters. Vulcan may be flying and with the larger model with solid boosters can get 40 tons to LEO matching FH reusable and NG reusable giving us three 40 ton boosters. A lot can be done with 40 ton modules and fuel depots. can deliver pressurized and unpressurized cargo to the ISS. in 2011 and to be capable of ferrying crew and cargo to and from the ISS. As the 6+ years since the last Shuttle flight has shown this was a political goal, but not necessary from an operations standpoint for the ISS. Michael Griffin tried to justify a lot of things about the Constellation program with weak or non-existent reasons. For instance, claiming the Delta IV Heavy had unavoidable blackout zones for carrying crew, when in fact there weren't any. Griffin needed the Ares I to be developed to carry crew instead of using the Delta IV Heavy so that Ares I could fund part of the development of Ares V.
You could likely extend it farther with an upgrade to the Shuttle to Station Power Transfer System or a solar panel pallet to replace the EDO pallet. Shuttle was more than capable of servicing ISS solo with some minimal modifications. And then you had the Crew Return Vehicle that wouldn't even require Shuttle/Soyuz to be continually docked. Worse comes to worse, you just keep a shuttle available to launch like they did in later years of the program to rescue a crew from a damaged heat-shield. Whether or not Soyuz was required to keep ISS operational, the fact is that it didn't cost half a billion dollars a year for Russia to provide that capability when the U.S. had its own crew transport. So, how tenable our situation is vs. how tenable the situation was with Shuttle depends on what you think about tax dollars being used in that way. Presumably, they should benefit Americans, not Russians. And the bill from Russia will easily be in the $4-5 billion range. And so, like I said before, if it really was about the money, other issues would be just as controversial if not more so than SLS. The ISS needed a lifeboat capable of three months worth of on orbit time, not one month. Nor is a launch on need a practical solution for lifeboat duty.The idea of a lifeboat is to provide a quick escape from problems like fire, medical emergency, loss of pressure or chemical spill. We were dependant on Soyuz when the shuttle flew. In addition the combination of cargo and crew caused problems such as what to do when an important piece of cargo is running late but astronauts are on board and need a ride home NASA then used Soyuz to both function as lifeboat and to carry crews up while the shuttle focused on completing construction. The only viable lifeboats were Soyuz(cheapest and needed no development), the CRV(cancelled due to ISS overruns) and post Columbia Orion. Orion was provide cargo and crew to the ISS Originally but problems with Ares -1 development and costs made NASA turn to alternatives. Commercial cargo at first and then Commercial crew. Congress created SLS primarily to keep the shuttle jobs in place.